We think every car on the road should have a rescue hammer in the glove box. 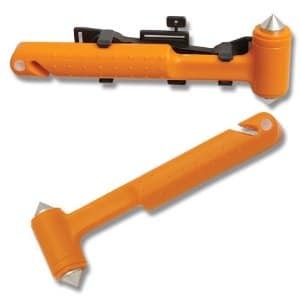 Rescue hammers are small, double-headed steel tools that easily shatter car windows. They also have a safety blade on the bottom that cuts through seat belts. This tool is one of those things that you hope you never need, but if you do, you will be glad you bought it.